Chris and I have gotten into the habit of going out for brunch on Saturday or Sunday. Now that we are old people, we are actually awake early enough to be out and about before restaurants stop serving breakfast. Of course, Chris usually ends up getting something entirely un-breakfast related, but I suppose that's why they call it brunch. This week we went to Queen City. It's an old favorite of ours - we spent so much time at that restaurant in our early adulthood that it almost feels as if we lived there! 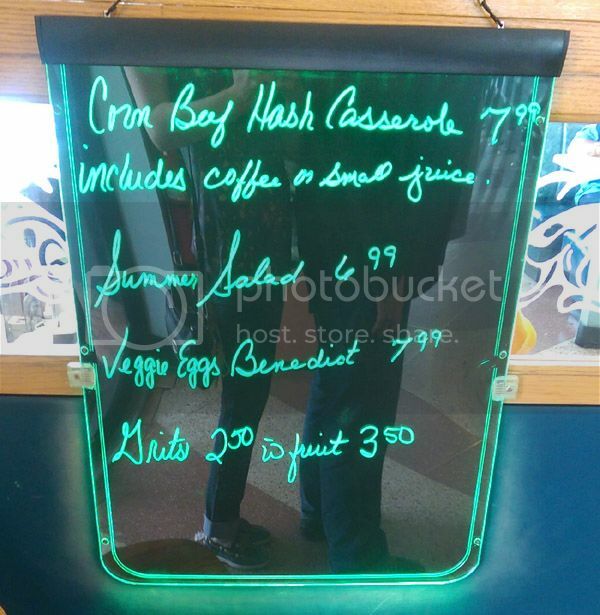 Nowadays we don't visit nearly so frequently, but we still stop in for their amazing cream of chicken and rice soup or, in this case, breakfast. Have I ever mentioned how much I love reflection photos? Because it's a lot. If you look closely, you'll see me and long-suffering Chris. 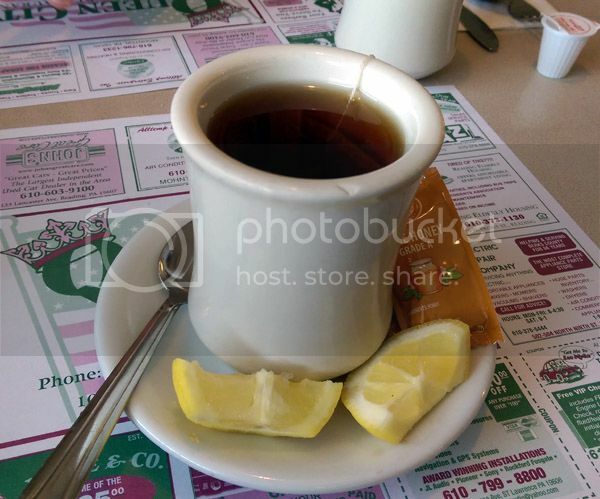 I ordered tea with lemon and honey instead of coffee because my throat was feeling a bit prickly, although no-one makes honey-lemon tea as well as my sister does. 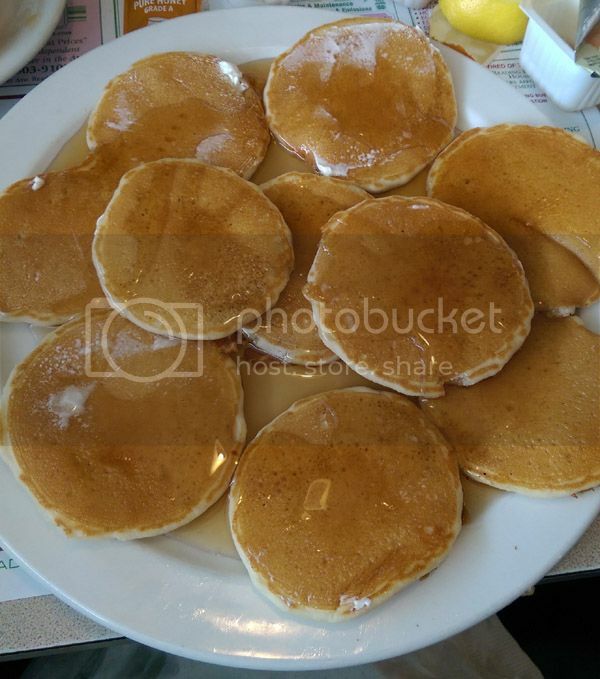 For my meal I ordered silver dollar pancakes. If there are tiny pancakes on a menu, you'd better believe I'm going to order them. There's just something about their miniature size that makes them taste so much better than the regular variety. 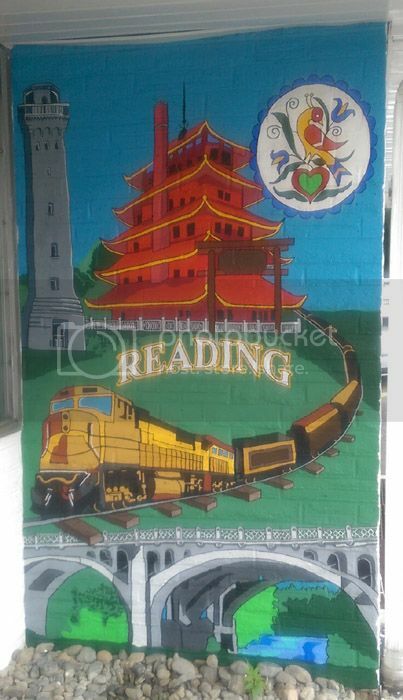 On our way our I noticed this cool new mural that's been painted on the wall It's an excellent representation of the most beautiful parts of our fair city - Reading, PA.